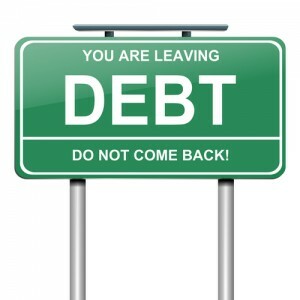 Debt Relief Agency | Denver Bankruptcy Attorney - Jon B. Clarke, P.C. The Law Office of Jon B. Clarke is a Debt Relief Agency, and we are required to proceed as described by the 2005 Act. The 2005 Act defines “bankruptcy assistance” to mean “any goods or services sold or otherwise provided to an assisted person with the express or implied purpose of providing information, advice, counsel, document preparation, or filing, or attendance at a creditors’ meeting or appearing in a case or proceeding on behalf of another or providing legal representation with respect to a (bankruptcy) case or proceeding.” This extremely-broad definition could be construed to cover any advice we might give you over the phone, unless we are satisfied you are not an assisted person. The 2005 Act goes on to define a “debt relief agency” as “any person who provides any bankruptcy assistance to an assisted person in return for the payment of money or other valuable consideration . . . etc.” If the BCD establishes that you are an individual debtor with primarily consumer debts, you are an assisted person, the Law Office of Jon B. Clarke is a Debt Relief Agency, and we are required to proceed as described below. The 2005 Act also requires debt relief agencies to provide specified written notices to assisted persons within 3 – 5 days or first offering to provide bankruptcy assistance. We interpret this to mean the first time we express a willingness to have an attorney-client relationship with you (“Day One”). This will customarily occur at the Initial Office Consultation (the “IOC”). The IOC generally takes place at a mutually-agreeable time, a few days after we receive your BCD Form by email or fax. Not later than three business days after Day One, the 2005 Act requires us to provide you with the §527(a) Notice Advising Assisted Persons and the §527(b) Important Information. These two disclosures will be given to you at the IOC. You will need to read these documents and acknowledge having done so at the IOC. Not later than five business days after Day One, §528 of the 2005 Act requires us to execute a written contract with you (the “Initial Consultation Agreement” “ICA”) explaining the services we will provide, the fees and costs of such services, and our payment terms. This will ordinarily take place at the IOC. As a practical matter, the 2005 Act forces us to have a two-phased attorney-client relationship with “assisted persons”, i.e., non-business (consumer) debtors. Phase One can be characterized as “Pre-Filing Consultation” or more simply “Analysis”. Briefly summarized, you agree to timely provide us with extensive asset, debt, income, expense, and past transaction information, most of which is detailed on the Checklist. We agree to analyze all such information beginning at the IOC. At the IOC, we will advise you concerning general eligibility requirements for individuals filing a Chapter 7, 11, or 13 case, mandatory pre-filing credit counseling, whether there are viable alternatives to filing a bankruptcy petition, the duties of a debtor in each type of case, timing of any subsequent case filing, and estimated fees and costs typically incurred in representing clients either in a private debt workout or a Chapter 7, 11, or 13 case. At the IOC we will provide you with a Client General Information form, numerous written Notices; a hard-copy executed ICA, together with an Acknowledgment of Receipt of the foregoing notices, a Document Production Checklist and Agreement; an abbreviated list of approved Credit Counseling Agencies; and other documents appropriate to your specific situation. The new law precludes us from giving legal advice on the basis of sketchy, piecemeal production of the required documents. The ICA and IOC are primarily for the purpose of complying with the new law and obtaining enough factual information in Phase One to determine whether we and you are mutually-agreeable to expanding a temporary “consulting” relationship into a more-permanent retained attorney-client relationship. Once we have received all of the necessary documents and have had a reasonable time in which to analyze them, we will give you specific legal advice concerning the recommended course of action for you to obtain debt relief. This will generally take place at the Pre-Bankruptcy Analysis Meeting, which may be a few days or a few weeks after the IOC. Phase Two begins with your decision to retain this firm to represent you in a Chapter 7 or 11 case. A new Retainer Agreement will need to be executed at or before the Final Office Meeting which replaces and supersedes the ICA. Depending upon your initial choice of Chapters, some additional documents will be required from you including a certificate of completion of the mandatory pre-filing credit counseling session. We will have to conduct deeper fact-finding and determine numerous Phase Two legal issues including which state or federal exemptions (property protections) are applicable; will your homestead exemption be limited or denied; are you currently eligible to receive a Chapter 7, 11 or 13 discharge; will there be restrictions on the automatic stay in your case because of what took place in a prior bankruptcy case; can you produce copies of the required prior years’ federal and state income tax returns; are all state court-ordered child/spousal support obligations current; does the means-test analysis of your current income and living expenses indicate your filing of a Chapter 7 case would be presumptively abusive; if Chapter 7 will be challenged, what are the Chapter 11 and 13 alternative scenarios and costs; etc. At the conclusion of Phase Two, we will conduct the Final Office Meeting (the “FOM”), where you will review for completeness and accuracy and sign off on all the required documents we have prepared. At the FOM you will also complete any fee and cost obligations set forth in the Attorney-Client Retainer Agreement. We will then file your case electronically (See Becoming A Client).